Homeless charity The Marie Trust benefited from the postponement of Partick Thistle's league match against Celtic because of a waterlogged pitch. Catering staff at Firhill had "a bumper stock" of pies ready for fans attending the New Year's Day game. 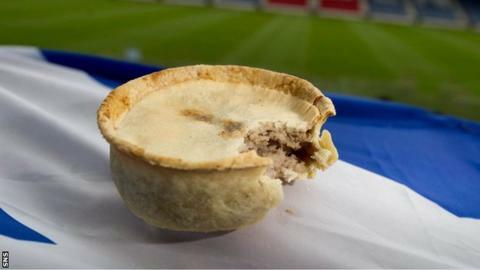 But when the match was called off, the Glasgow charity took hundreds of the pies to give to its users. "We're happy to find a good home for some of our stock," said Ian Maxwell, Partick Thistle's managing director. He said it prevented the food being binned. "It's a time of the year to think of those less fortunate than ourselves and, unfortunately, there are a lot of people around Glasgow who don't have anywhere to go for New Year," added Maxwell. "As a community focused club it is great to be able to give something back and I only hope that this small action on our part will in some small way give those at the charity a boost at the start of 2015."